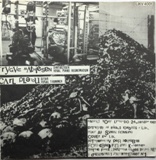 Hem » Vinyl & Tapes » Record Archive » LIK – Bury this record!!! LIK – Bury this record!!! 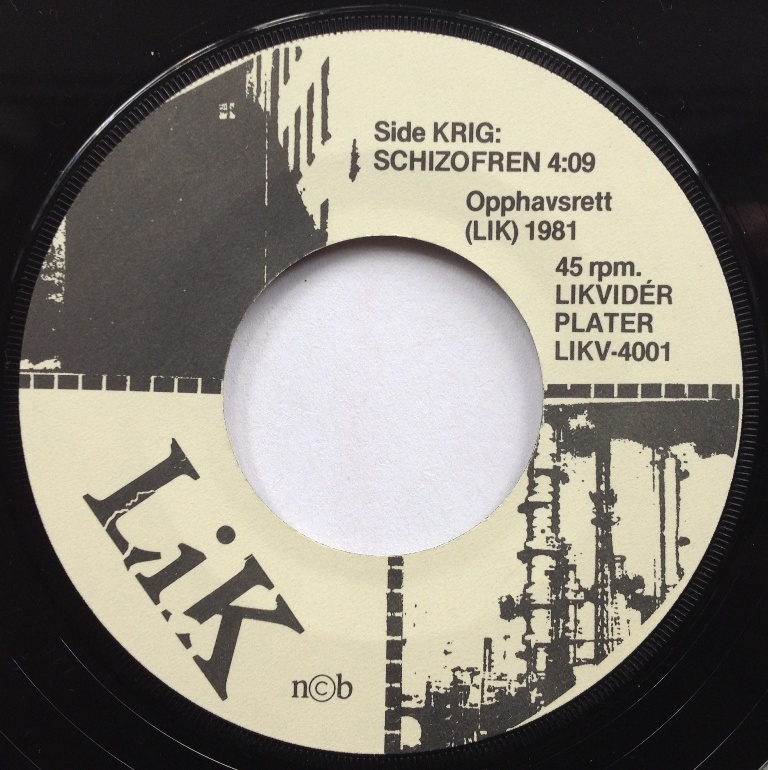 LIK (translation, corpse) was a short-lived two-man band from Norway. Trygve Mathiesen on synthesizer and Carl Otto Platou on vocals, drums and guitar. 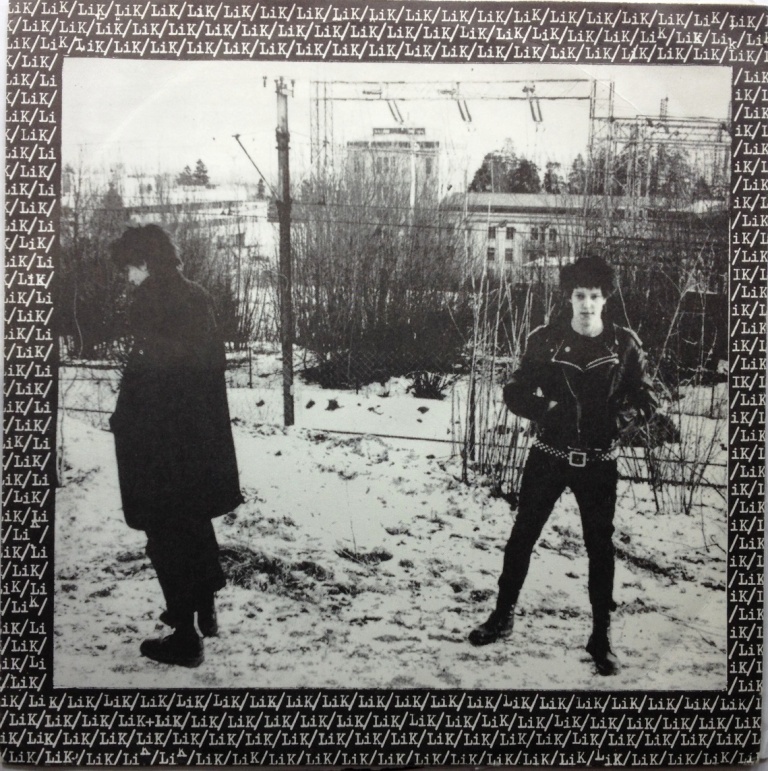 Both were members of the Oslo punk scene but wanted to make a statement with this band. LIK was the analogy that punk is dead and should be buried. Honestly – if something should be 6 feet under in a coffin it’s this 3 song EP. It’s an experimental / avantgarde / punk production – seldom as successful combo. The mixing is terrible – the drums seems to be in another room and overall the songs are not interesting. Sorry LIK. 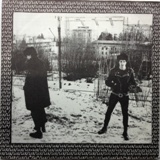 It bought this from seller Emeraldblues who have a bunch of Norwegian 7″ that I want. 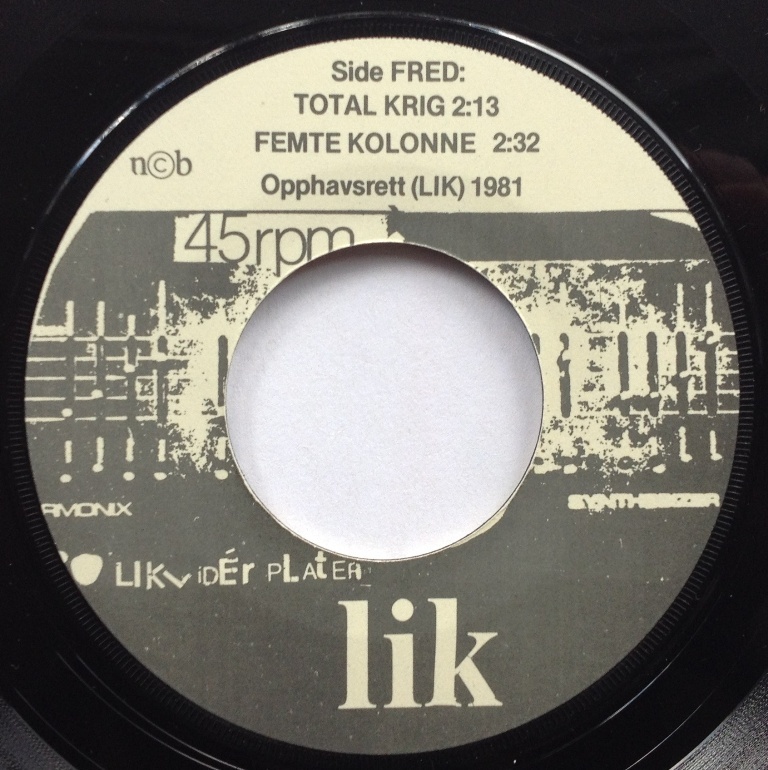 This was in the completist category as I miss it in my Norwegian KBD collection. It will not be played to often. Here is the tune Total Krig (128 kbps) for you to get a feel. There is nothing wrong in the beginning of the song – just some 15 seconds of scratching noise – it’s supposed to sound like that.